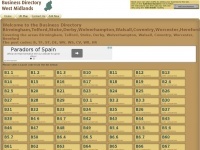 Find Telford Business Websites Directory contact Telford and Bridgnorth business contact details, opening hours, website, address and telephone number. Keywords: Find Telford Website Shifnal Newport Bridgnorth Online Business Home Page Promote Internet Promotion Address Phone Number. The websites creator or author is Find Telford Websites. 15 links pointing to Telfordwebs.co.uk were found. Individual words like Telford, Fabricators, Dudley and Steel are frequently used in text links from other websites. The most important links to the website are from Shropshirepool.co.uk and Dudleywebs.co.uk. The sites /steelfab.htm and /socialclubs.htm are frequently referenced by external sources. The table shows the most important links to Telfordwebs.co.uk. The table is sorted in descending order by importance. 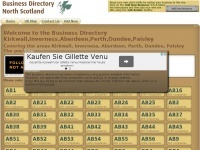 The table shows websites of Telfordwebs.co.uk, which are often linked by other websites and therefore they are classified as important content. Bdwestmidlands.co.uk - Busi­ness Di­rectory - Bir­mingham, Telford, Sto­ke, ..
Bdwales.co.uk - Busi­ness Di­rectory - Llan­dud­no, Shrewsbury, Llan­did­rod ..
Bdnorthscotland.co.uk - Busi­ness Di­rectory - Kirkwall, In­ver­ness, Aber­deen, ..
Bdnorthlondon.co.uk - Busi­ness Di­rectory - West Lon­don, North West Lon­don, ..
Bdeastanglia.co.uk - Busi­ness Di­rectory - Nor­wich, Ipswich, Cambrid­ge, ..